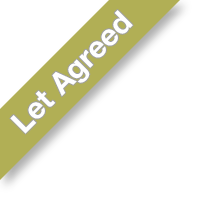 Here is our complete portfolio of properties that we have for rent within the Crewe, Nantwich, Sandbach and South Cheshire area. Bespoke Lettings are extremely proud to present this superb three bedroom detached house on a corner plot in a cul-de-sac position within a popular location. HALF PRICE APPLICATIONS. Bespoke Lettings are proud to present this super detached house situated on an elevated position within a quiet cul-de-sac in a semi-rural location, ideal for Nantwich, Crewe, all major roads links and the railway station. Bespoke Lettings produly present this `unique single storey, 3-bedroom cottage wrapped around an inner courtyard oozing character alongside a modern refurbishment programe enjoying stunning views from a lovely setting with parking. Bespoke Lettings present this four bedroom, detached Part Furnished executive property in a highly sought after location tucked away within a select development, close to the historical town of Nantwich.